Contact HD For Drainage Systems in Garland. French Drains, Surface Drains Stop Water-Related Problems. Need to install a foundation drainage system in Garland? 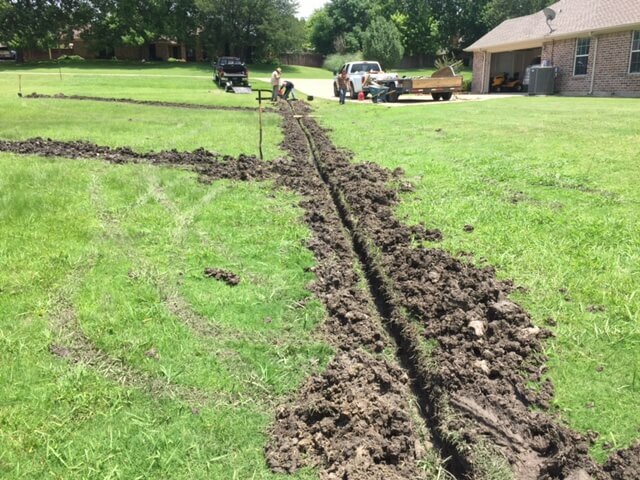 French drains, surface drains and other contractor installations end water drainage issues. This includes foundation problems, flooding and yard water concerns. At HD Foundations, we protect slab foundations and pier and beam crawl spaces from drainage problems. 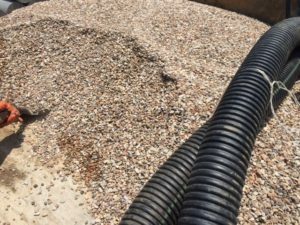 Whether you wish to install a French drain in Garland or a surface drainage system, we can install it for you. Call for a free drainage estimate. Why Install A Drainage System In Garland? Contractors install French drains, surface drains and other systems because of heavy rainfall in the local area. It averages 37″-40″ per year. That’s a lot of water. Foundation drainage correction prevents slab foundation damage and crawl space issues including rotting wood and mildew. Find out about choosing a drainage system: French vs. surface drain. Garland homeowners require French drains to control moderate amounts of water around their foundation. Surface systems are the types of drains placed in lawns to control water. They effectively redirect large amounts of it. Over a short p eriod, even 2-3″ of rainwater can cause flooding. The need to prevent soil erosion is another reason that contractors install systems. We’re residential drainage contractors in Garland that install French drains and surface drains. Our company also places channel drains, sump pumps, catch basins, capillary drains and other systems. We usually do it by creating trenches. In the case of French drains, contractors at HD use perforated pipe and place it inside the trench. Soil and pea gravel are used to cover it all up. These drains route ground water away from foundations. They are placed right up against concrete slab foundations or pier and beam houses. 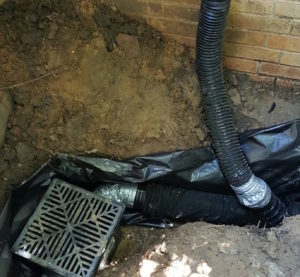 You may want to review crawl space drainage issues and drainage systems. Surface drains are installed by Garland contractors in order to catch surface water. These piping systems, which can be 10′, 50′, 100′ or longer, are attached to water collection boxes. Surface drains transport water out of the yard and into the street, or somewhere else safe. If you think you have a water drainage problem and require an evaluation, contact us. Whether you need a surface drain or want to install a French drain, Garland drainage system estimates can be scheduled free online. Or, please phone us.